The ACE Quiz is a result of The CDC-Kaiser Permanente Adverse Childhood Experiences (ACE) Study done in the late 90s. The wide variety of health and social repercussions suggested by the study and the ACE Quiz highlight how important it is to prevent child abuse and ACEs from happening in the first place. April is National Child Abuse Prevention Month. We will be posting via social media throughout the month on the topic of child abuse. 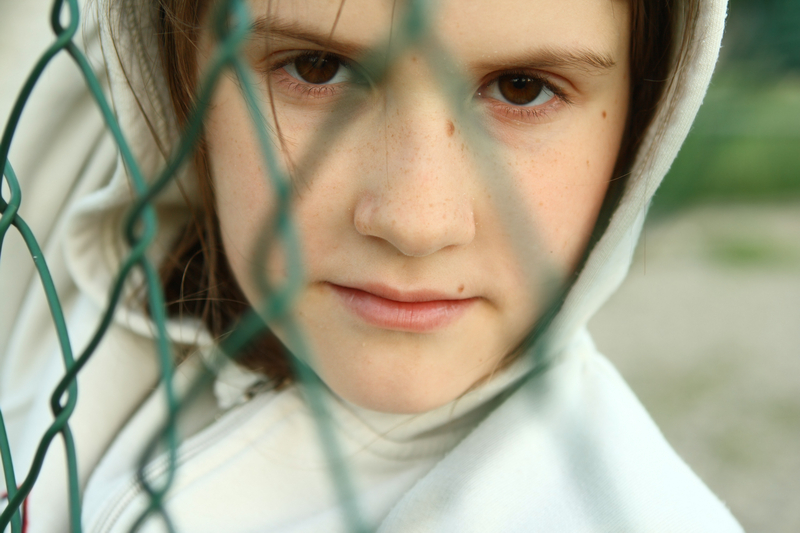 In this blog we look at the definition of child abuse and how it can happen anywhere. Adolescent moodiness, or Bipolar Disorder? 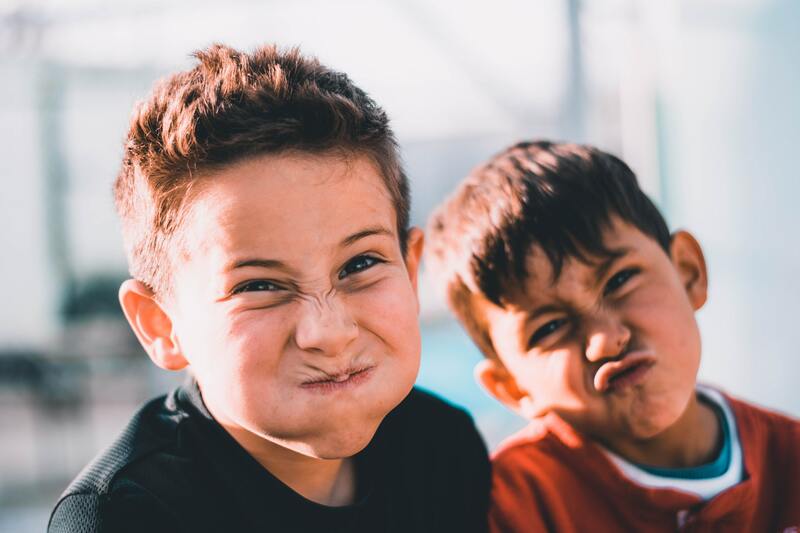 Frequent moodiness can often be attributed to normal adolescent development, but when “normal” behavior is accompanied by a list of other disruptive behavior changes, there may be something more going on. 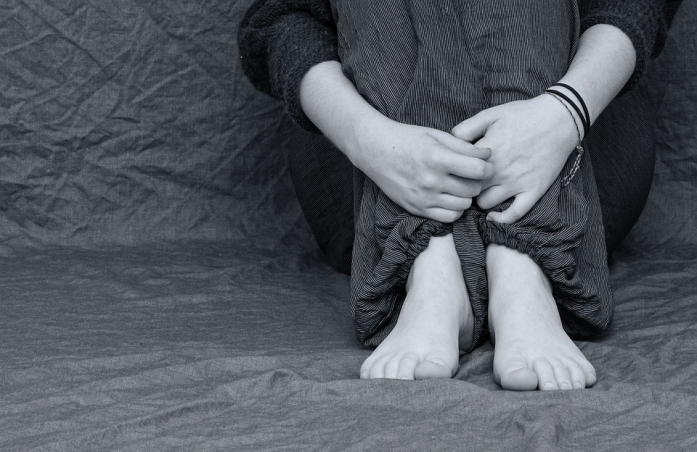 Why does my teen self-harm? Teens and young adults that lack the ability to handle stress or anxiety may turn to self-harm as a soothing mechanism. While some parents may feel uncomfortable discussing Non-Suicidal Self-Injury (NSSI), it shouldn’t be ignored. Self-harm is much more common than you might think. Developing positive self-esteem in the teen years is critical even though it can be a difficult time. 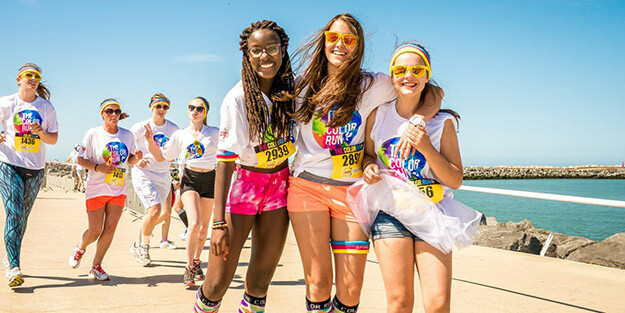 High self-esteem will help lay the foundation for a teens future including making healthier choices, accepting and dealing with frustrations, and building the confidence to deal with life’s everyday challenges. 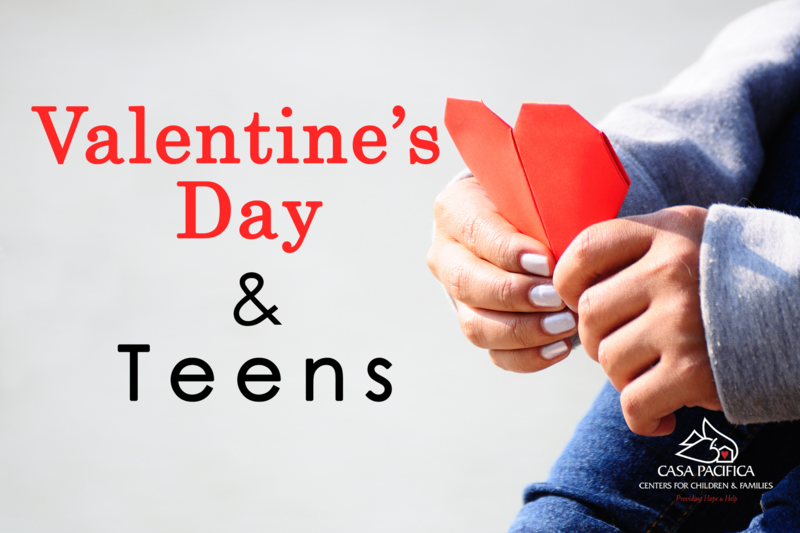 Valentine’s Day and Teens; A Love Hate Relationship? With social pressure already high, mixed with a flurry of hormones and uncertainty, many teenagers find Valentine’s Day more stressful than ever. 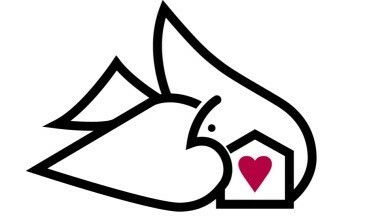 Did you know Casa Pacifica is a foster agency? The demand for foster parents, often called resource parents, is high. There are too many youth in need and not enough foster parents to match them with. Fortunately, Casa Pacifica is here to help. New Year’s resolutions are often linked to a desire to somehow get better, look better or feel better. The intention may be positive, but often introducing a strict regimen around one’s body image can do more harm than good – especially for teens. What can teens do to set themselves up for mental wellness in 2019? The holidays introduce a whole series of new stimuli to kids – some of which are wonderful, and some which lead to anxiety and meltdowns. While there’s no sure way to avoid heightened sensitivity and emotion during the season of celebration, it can be very helpful to keep track of exactly what will set kids off. Comforting Anxious Children provides a list of common triggers for kids, as well as solutions parents and families can work with to mitigate stress and panic. The holidays come with high expectations for merriment and family fun – which can be torture for a young person dealing with depression. 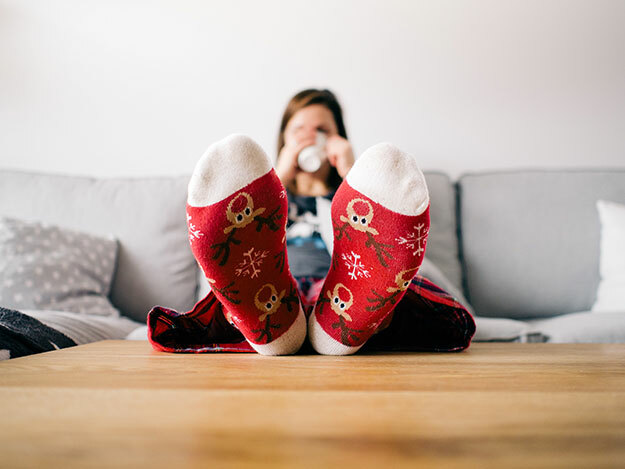 The Christmas effect on young, depressed clients can manifest as anger, withdrawal, aggression or more dangerous behaviors like substance abuse. 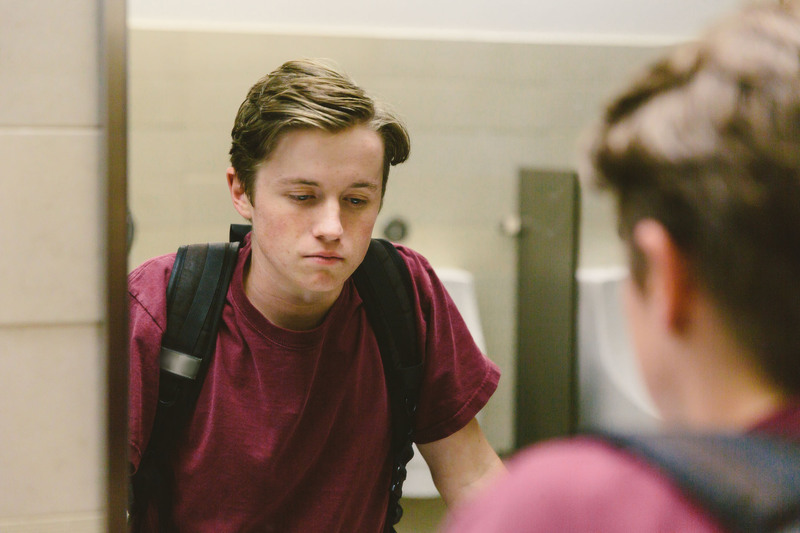 Not only is the school routine broken for a few weeks – young people, especially teens, can feel forced in to activities and rituals that may seem unnatural to them. Youth Depression: What’s School Got To Do With it? The holidays are in full force, the school year is reaching its winter peak and the days are shorter – all factors that can have a heavy impact on young people who struggle with depression. This month we’ll be sharing some practical advice and insights to help you work with young clients who suffer from depression. These days, it’s difficult to escape from the pull of smartphones, tablets and other technology. Devices can be helpful and fun – but they’re always with us, and they’re always on. 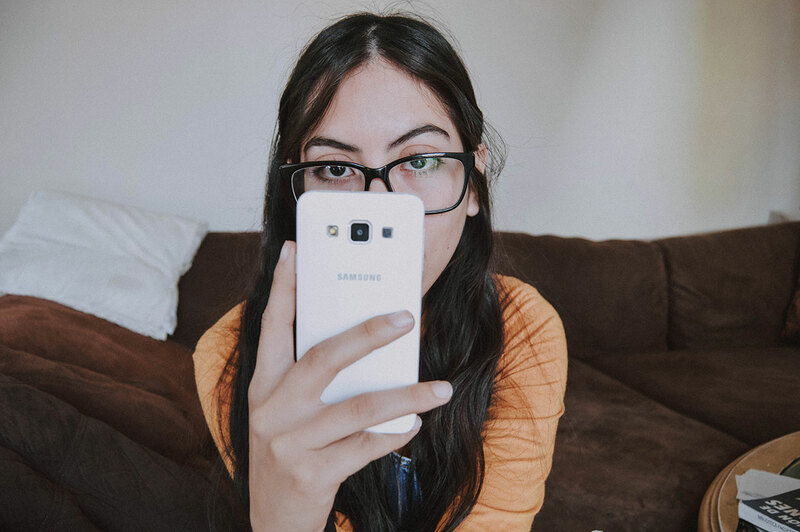 Kids and teens feel the constant lure to post personal updates, check their “likes,” respond to a constant influx of messages and scroll infinitely through social media apps. What effect can this endless stream of images and information have on young people? 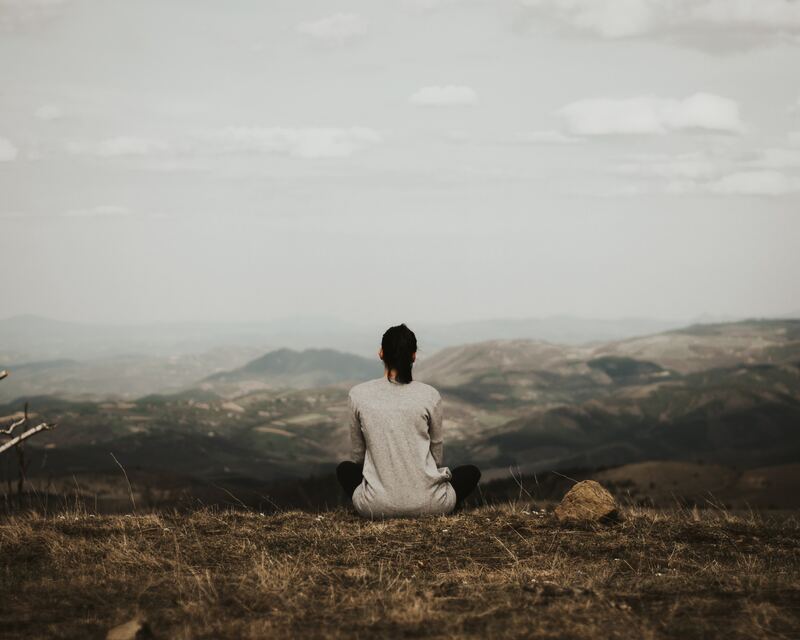 When we think about mindfulness, a lot of different things come to mind – yoga poses, sitting cross legged on a pillow or sipping a steamy, organic tea, for instance. What matters about mindfulness is not the format used to meditate – it’s about tapping into a calm, fluid mental state when things get overwhelming. This is an emotionally complex time of the year for children and teens – now that the holidays are approaching, stresses associated with social activities and education are at their peak. 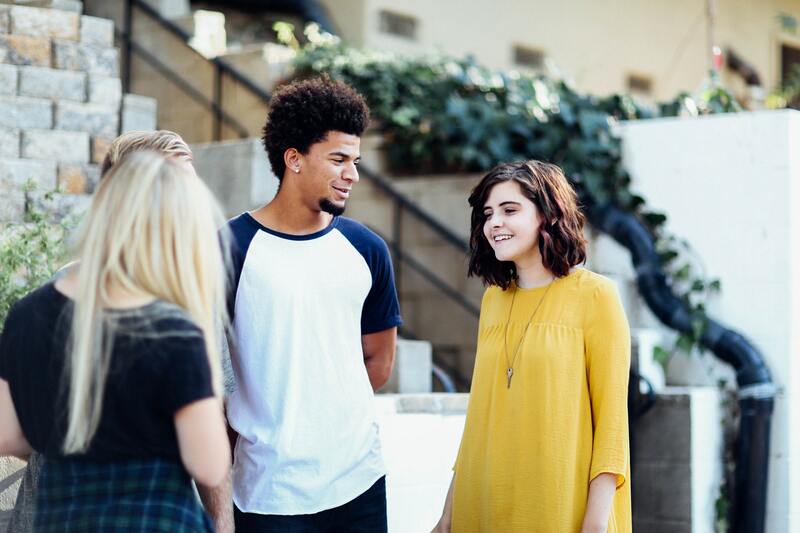 Social anxiety affects people of all ages and can be particularly detrimental to adolescents who are establishing early, meaningful relationships, social identity and a sense of belonging among friends and peers. What Influences General Anxiety in Teens? 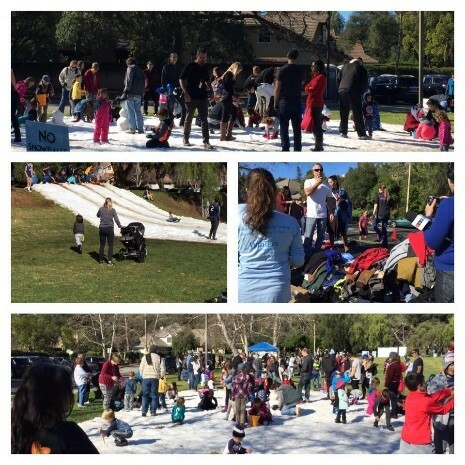 With seasons changing, school in full force and the blitz of the holidays on the horizon, November is a stimulating, often frenzied time for families – kids and teens are no exception. This month we’ll be sharing some practical advice and insights to help you work with your young clients suffering from anxiety. This year, on the 27th of November, participants worldwide will be set into action and give back to their communities. #GivingTuesday is more than just a date on the calendar. It’s a movement. ADHD in children can be frustrating for the entire family. According to Helpguide, children with ADHD are missing key areas of their executive function – the ability to think, make plans, stay organized and under control, and finish what they start. As a parent, it’s important to recognize that the outbursts of energy, yelling or talking a mile a minute are not voluntary actions. Kids with ADHD need support to help channel their boundless energy into something stable and productive. 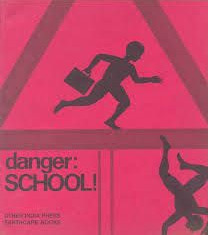 Inflicting harm on other kids, repeatedly harassing students or teachers, causing fights and tears at school – none of this is something parents plan for. Yet, for every kid who comes home complaining about a mean, unfair or aggressive classmate, there’s a bully or cohort to blame. The effects of bullying can have long-term negative consequences and can color childhood with fear, isolation or social anxiety. According to ChildMind Institute, bullied children who lack parental guidance or at-home support are more likely to suffer long-term effects. It’s important to develop a vocabulary to fully understand scenarios where children may or may not be the victims of bullying, and if they are, how can parents be most supportive? When is Group Therapy Right for Your Child? When it comes to mental health issues in children, there is no dispute that individual therapy is crucial. Whether for anxiety, ADHD, trauma, substance abuse or mood disorders like depression, the attention and guidance of an individual therapist is key for treatment and recovery. 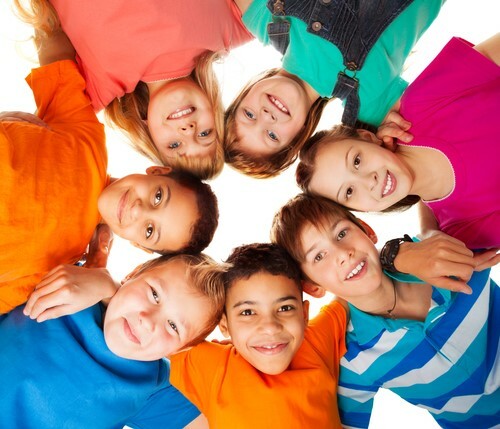 In some cases, group therapy can be a very beneficial addition to a child’s treatment plan. Creativity can be a powerful exercise for children and teens dealing with a variety of mental health issues. Owning a creative project, whether it’s a painting, a poem, song or dramatic skit, gives young people a sense of pride and purpose. Not only do art projects allow kids to express skills, creative activities come with a sense of freedom that is difficult to impart in other types of learning. 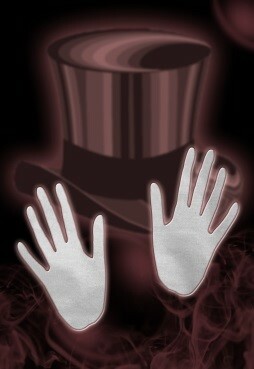 Everyone can be creative – performance and visual arts are not reserved for those who have received special training. 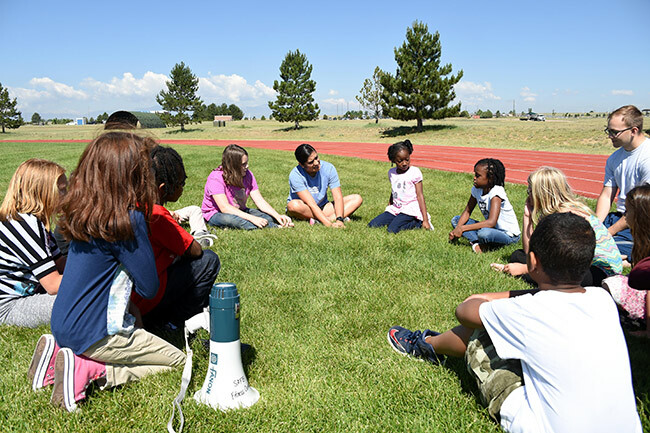 In particular, activities like improvisational music, drama, and dance allow kids with mental health issues to safely enact everyday social situations that they might normally find challenging, such as conversation, sharing, focusing and solving problems. Violent outbursts? Self-harm tendencies? Suicidal ideation? No call is too early. The media and social landscape surrounding suicide and its stigma have drastically changed in the last decade. And although well-intentioned, the media has inadvertently glorified suicide while trying to inform the public. Suicide is now the second leading cause of death for ages 10-34. In 2017, Americans gave more than $410 billion in charitable gifts. And with most nonprofits offering secure online donation options, giving has never been easier. There is no right or wrong when it comes to charity, give according to your heart. Aggression is a complex behavior, and there are a number of possible reasons that underpin aggression in children. Much like having a headache or feeling fatigued, the issue for one person might have a totally different root cause for someone else. In order to treat aggression, it’s important to determine what’s causing it. 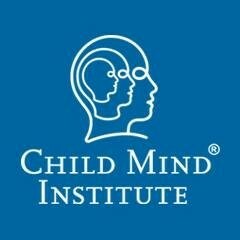 Child Mind provides a helpful series of possible causes for aggression in children. While it may seem like a normal, inevitable part of kids’ lives, going to school is a complicated experience that can lead to extreme stress and anxiety. It is no surprise that teens are the most stressed age group in America – with constant supervision and mounting pressure to perform in the classroom, younger kids are also vulnerable to rising stress levels. 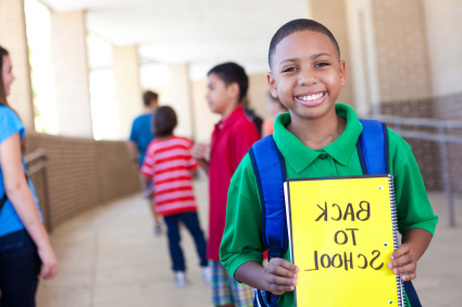 The beginning of a new school year comes with a flurry of emotions for kids. 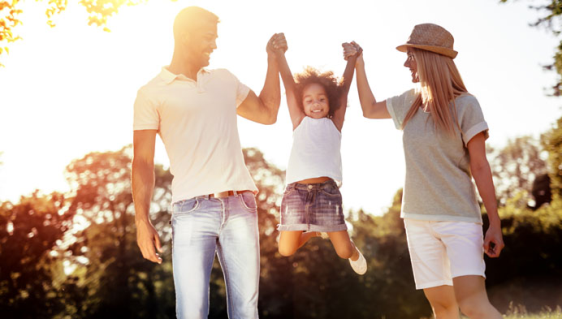 Children may have anxiety about social encounters, excitement to set out on a fresh start, or perhaps an undefined sense of agitation and urgency that breaks from the slow summer days. Together, parents and children can take a variety of steps to prepare for the school year. Leaving home to go to college is one of the biggest transitions in a young person’s life – and comes with pressure, stress and risks. A recent survey by WebMD and The Jed Foundation shed light on some of the specific mental health challenges that affect teens who are starting college. 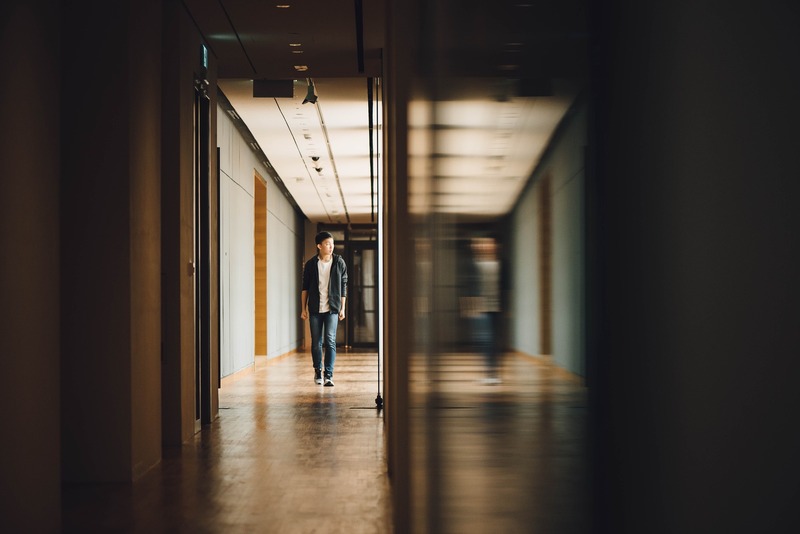 Not only do today’s teens experience significantly higher stress levels around post-secondary education than their parents did - according to the study, teens’ mental health issues have escalated just in the past five years. 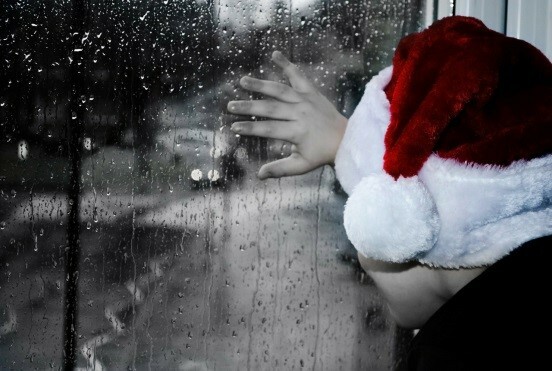 Does my Kid Have Seasonal Affective Disorder? 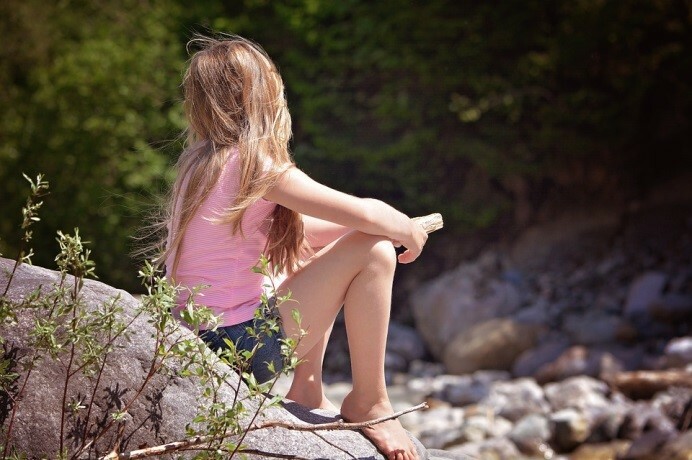 “Often times, children and adolescents experience an increase in depression and anxiety in the summer months. 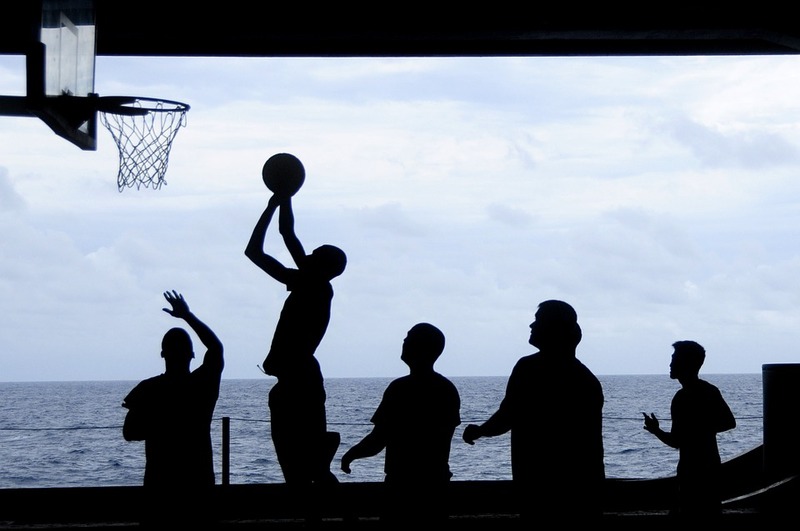 Increased freedom and lack of structure can lead to an increase in mental health symptoms. A lot of youth experience less social connection in summer leading to increased feelings of loneliness, isolation, and withdrawal which can thus lead to deeper depression and anxiety.” says Lauren Lawson, Psy.D., LMFT, Clinical Program Manager, START Program at Casa Pacifica Centers for Children and Families. Some Insights on Why Kids Get Summer Depression. 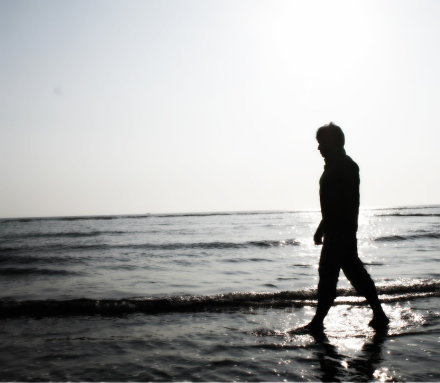 Usually associated with winter, seasonal affective disorder (SAD) also happens in summer. 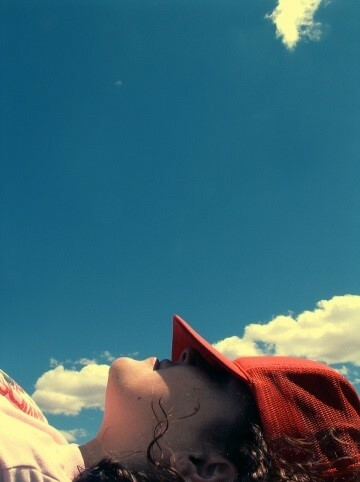 Like winter SAD, summer SAD is also related to light exposure and the body’s circadian rhythms. Psychology Today has an interesting article that explains the “mechanics” behind SAD. 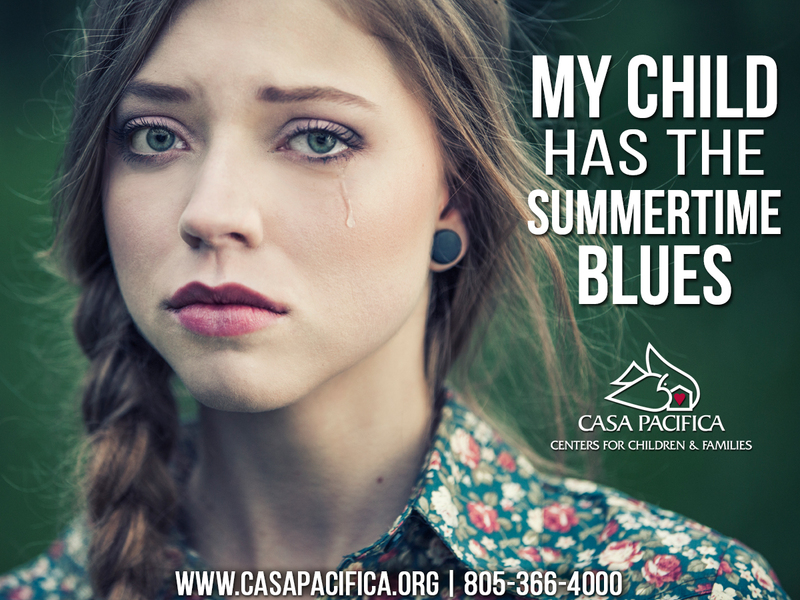 If your child or teen seems depressed during summer, it could be SAD. 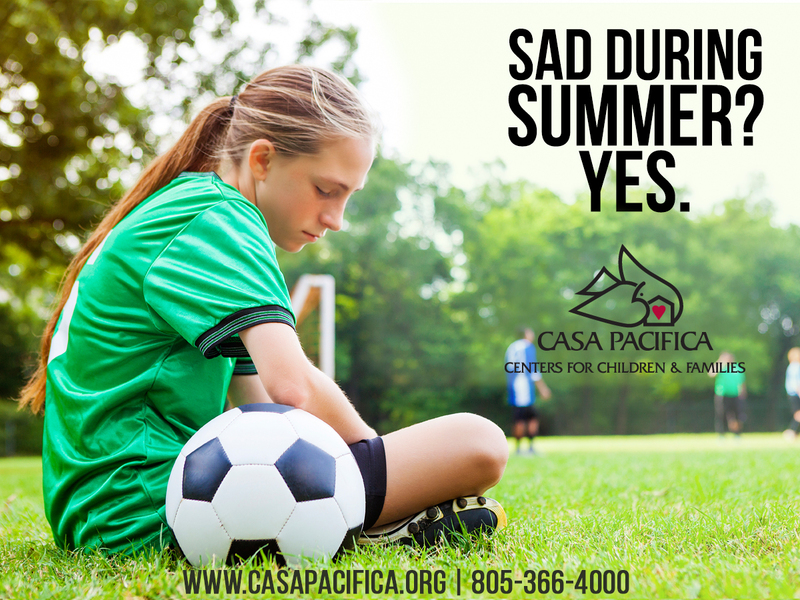 But if you think it may be more than SAD, the START program at Casa Pacifica can help. Summertime isn’t Happy for Everyone. Seasonal Depression in the summer isn’t as common as it is in the winter. Yet, if you think your child may be exhibiting signs and symptoms of summer depression, have a look at this infographic created by the University of Michigan. If your child seems depressed now that school is out, you’re not alone. Without the schedule and structure of daily school, many kids and teens might find summertime an emotionally challenging time. GoodTherapy.org has an insightful article with 10 tips for parents to help their children who may be exhibiting signs of summertime depression, or summer seasonal affective disorder (SAD). 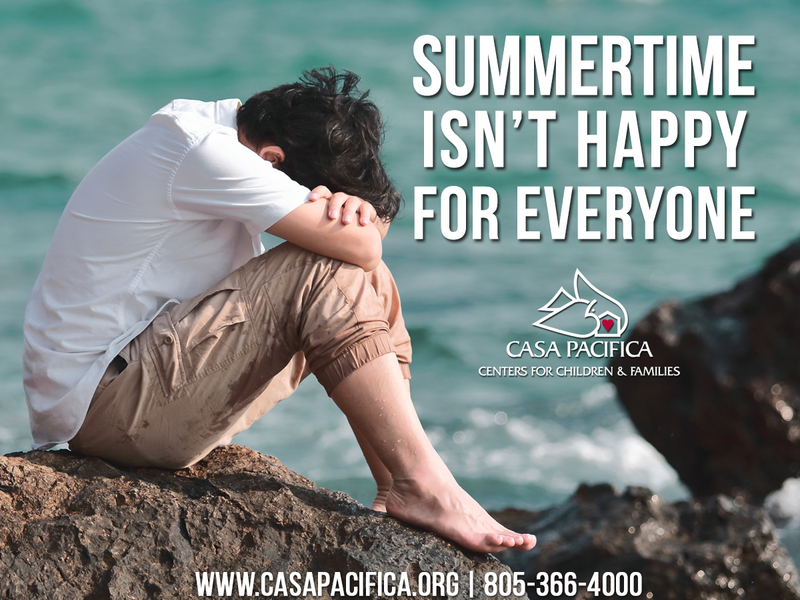 If your child’s symptoms are more severe, then the START program at Casa Pacifica is a great place to begin to learn how we can help. Without the schedule and structure of daily school, many kids and teens might find summertime an emotionally challenging time. As a healthcare professional, you may be experiencing this as an increase in clients and/or an elevation in your young clients’ symptoms. 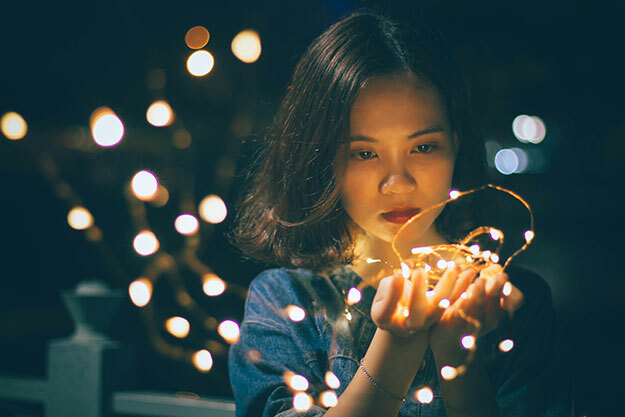 Usually associated with winter, seasonal affective disorder (SAD) also happens in summer and some of your young clients may be exhibiting signs of summertime depression, or summer seasonal affective disorder (SAD). DBT: What Is Dialectical Behavior Therapy? Dialectical Behavioral Therapy (DBT) is a highly structured program used to provide teens with tools to regulate emotions. This approach has been proven to work for many adolescents suffering from extreme emotional stability, including suicidal ideation and self-harm. The word “dialectical” in DBT refers to the program’s combination of the tenets and methods of mindfulness and of Cognitive Behavioral Therapy. 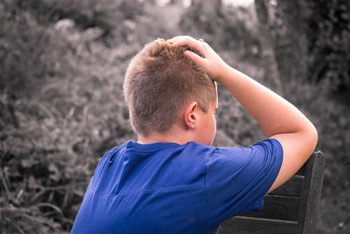 Common signs that your child may need help dealing with mental health issues. According to the latest study that was released by the National Institute of Mental Health, 1 in 5 children in the U.S is living with mental health disorders. Mental health experts have identified some of the warning signs that every parent should not overlook. If your child is showing any of these signs, it may be time to seek professional help. With recent high-profile suicides in the news, don’t be afraid to talk to your teen about this difficult issue. It’s important to keep an open line of communication and create a safe space for your teen to share their fears and feelings. Adults aren’t the only ones affected by depression. Many people know what depression looks like in adults, but may not be familiar with the warning signs of childhood depression. Know what depression looks like in children. Will your teenager benefit from residential treatment? When drug abuse and behavioral problems exacerbate the general problems associated with raising a teenager, residential treatment could be a parent’s strongest recourse. Most kids look forward to summer break from school. After the demands of homework, lessons, and tests, it is perfectly fine to unwind and have some fun. However, sometimes kids have been known to turn summer on its head at the expense of their parents. It is no wonder some parents develop anxiety just when summer is drawing near. 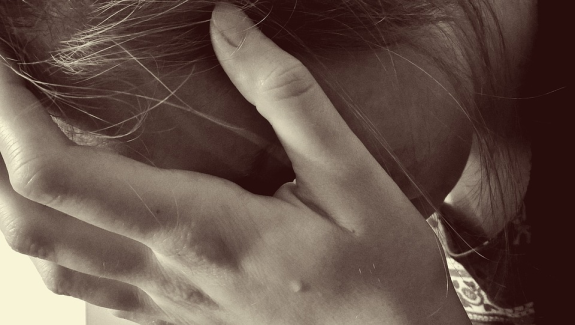 It is even more daunting for parents who have children who suffer with mental health issues. Kids with anxiety, autism spectrum disorders, and ADHD thrive in a structured routine that is often provided in school. On school break, however, keeping these children on the right path can be a Herculean task. Indeed, all parents want to know how to help their kids to have the most restful and fun summer possible. Below are great tips that will hopefully make the summer break a resounding success for everyone. If you are a parent or have witnessed children being raised, you know very well that young children can suffer separation anxiety. An attached figure such as a parent leaving the room is enough for many kids to start screaming. Generally, this is considered a phase that children outgrow. However, when your child does not outgrow the signs of separation anxiety by the time they reach pre-teen or teenage years, they may be showing signs of a mood disorder like disruptive mood dysregulation disorder (DMDD), characterized by outbursts when the child is disrupted from an activity. 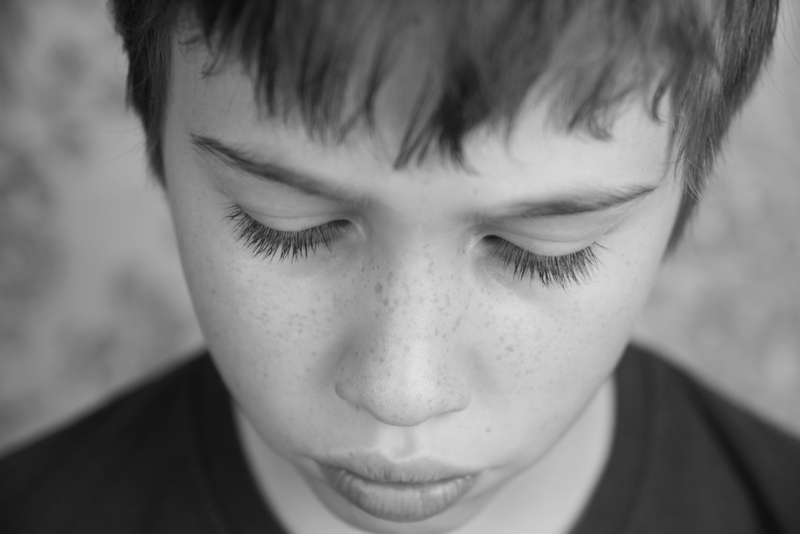 Make sure you have the resources you need to overcome traumatic stress in children. The National Child Traumatic Stress Network’s objective is to improve the standard and accessibility of care and services across the country for traumatized children, as well as their families and communities. Caring for children who struggle with emotional dysregulation can be a difficult thing, as small incidents can often elicit prolonged tantrums. This doesn’t mean that a parent has “failed” any more than it means that an emotionally dysregulated child is “bad.” Emotional dysregulation is common in children, particularly those with ADHD or who are on the spectrum, and is often treated most effectively with therapy designed to give children concrete coping skills. When we think of ADHD, we often think of difficulty sitting still or processing instruction. However, emotional dysregulation, which is often overlooked, is a significant part of living with ADHD as well, and some find it the most difficult part of the condition. 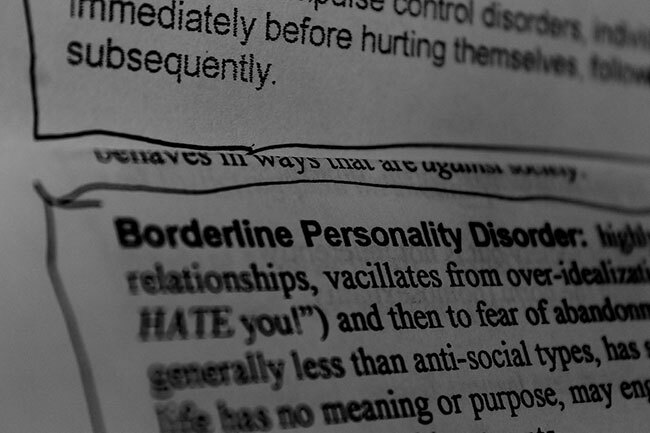 Borderline Personality Disorder, a condition which impairs a person’s ability to maintain healthy relationships, can start in adolescence, according to a wide body of research. 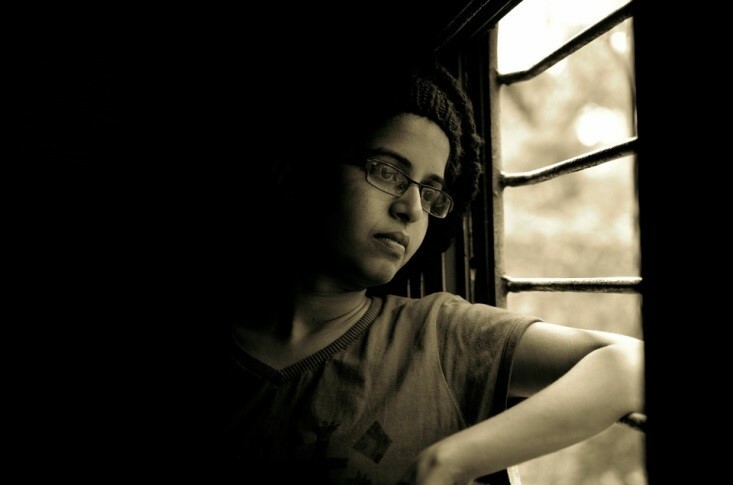 Read more about what BPD looks like in adolescents and how it can be treated. Construction for Camarillo Cottages nearing completion! At Casa Pacifica Centers for Children and Families, we are getting ready to celebrate the grand opening of two new cottages on our Camarillo campus! These new cottages are part of an effort to expand residential options for adolescents aged 11-17. Dealing with short-tempered teens can be devastating. Your teen may feel like you do not understand them. As a parent, you should watch out for various symptoms so that you can take appropriate action. A peaceful route to the Gold Award! Casa Pacifica was proud to partner with Ambassador Girl Scout Kristen Johnson on her route to a peaceful demonstration, earning her the coveted Gold Award. Know what signs to look for. Sometimes, simply reaching out to a child thinking about suicide can be the difference between a thought and an attempt. 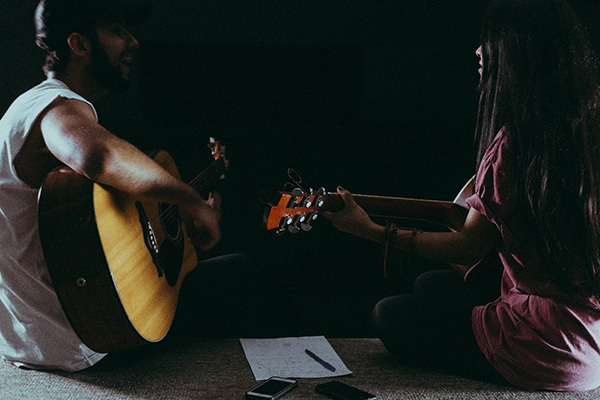 It’s not uncommon to find teenagers feeling down or experiencing the blues at this stage of their life. Adolescence comes with emotional, psychological, physical and social changes, which makes them feel unsettled. 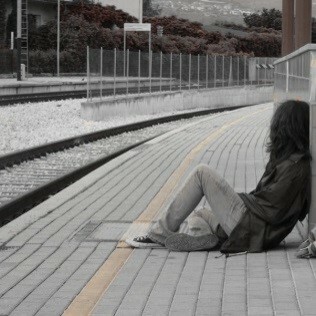 There is a difference between typically adolescent blues and clinical depression, however. Teen depression is a very serious mental condition that should be treated as soon possible. This condition affects the way a teenager feels, thinks and behaves, and can lead to physical, emotional and functional problems. 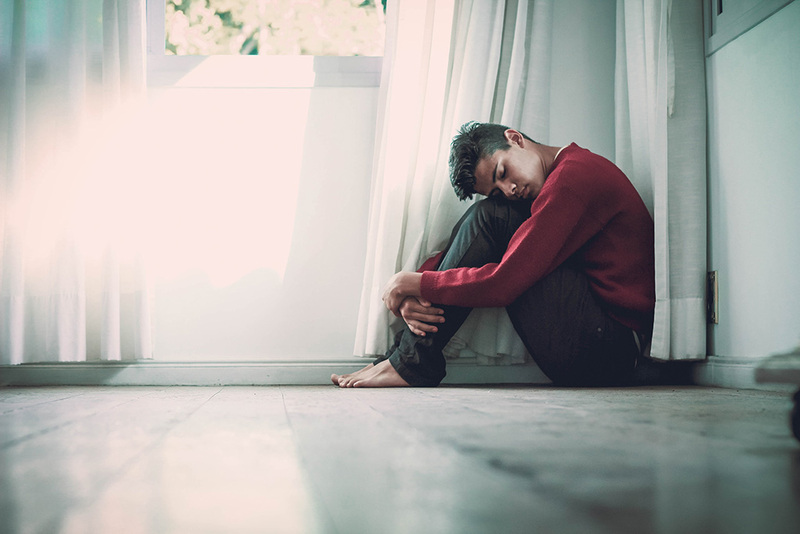 Depression can affects teens in a slightly different way than it affects adults, so the symptoms may not be immediately obvious, but being informed on teen depression can make it much easier to spot. The Glovinsky Center for the Child and Family has shared a helpful video which focuses on various aspects that contribute to emotional dysregulation in children. 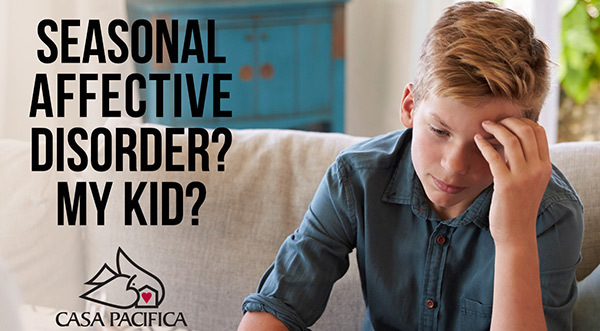 Effective emotional regulation in children is one of our top focuses at Casa Pacifica. On this day in 1929, one of the country’s most renowned heroes was born in Atlanta, Georgia. 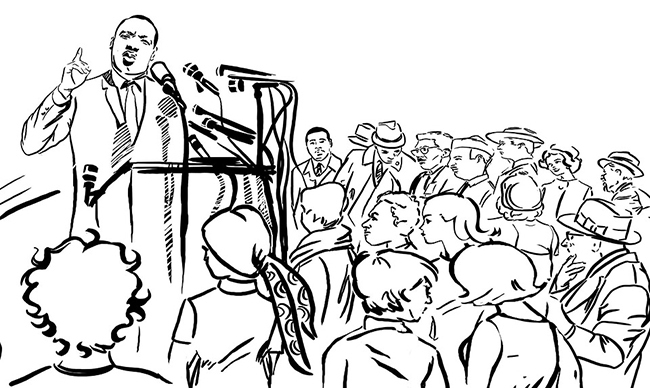 Born to an unfair world of harsh Jim Crow segregation, Reverend Dr. Martin Luther King, Jr. would come to be known the world over for his unrelenting commitment to the American Civil Rights movement and the practice of nonviolent protest. 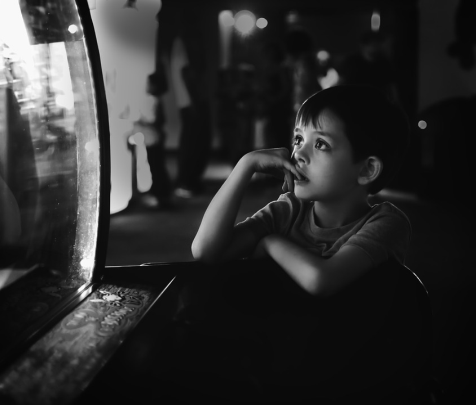 Adults aren’t the only ones worried about what 2018 will bring; for many children, the uncertainty that comes along with the New Year along with the abundance of unfamiliar social and sensory stimulation can elevate preexisting anxiety disorders. Read more on why children experience heightened anxiety around New Year’s and how best to help your child work through anxiety. 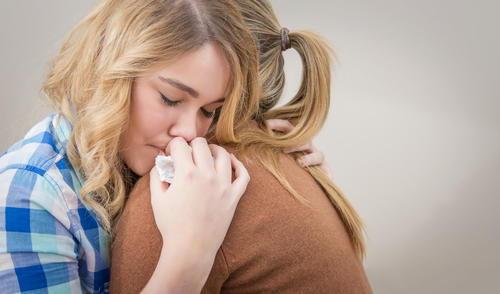 As we celebrate the holidays, it’s important to be mindful that for many, especially after a traumatic event such as the death of a loved one, the season brings more pain than joy. This is true of children and teens as well as adults; if your child or teen has recently gone through a difficult period of their life, be sure to keep a close eye on them and pay attention to signs of depression and anxiety in the midst of celebrations. A new study has revealed some of the most effective methods that can help prevent drug abuse in adolescence. This is a study that was undertaken by researchers from Canada and Pakistan. After reviewing 46 methods, their report was published in the Journal of Adolescent Health. To determine which interventions topped the list, they considered individual methods and outcomes, actual effects of the methods, the risk of bias, and methodology, among other vital parameters. 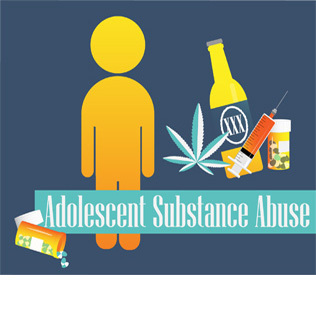 This study considered adolescent interventions for the prevention of smoking or use of tobacco, drug abuse, and alcohol use. The teenage years are never easy; in fact, this can be the hardest stage in life for many. 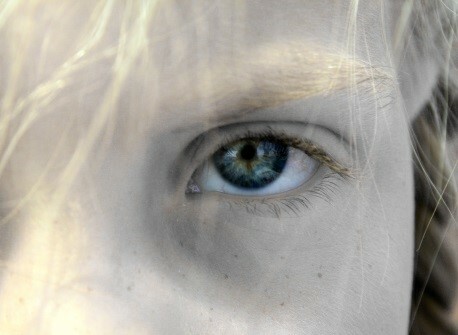 As children mature, it is not uncommon for them to harbor a mixture of emotions. Teens struggle with self-image among other issues. With hormones playing an ever-increasing role at this stage, teens may display erratic behavior or react to emotional extremes when dealing with daily issues. 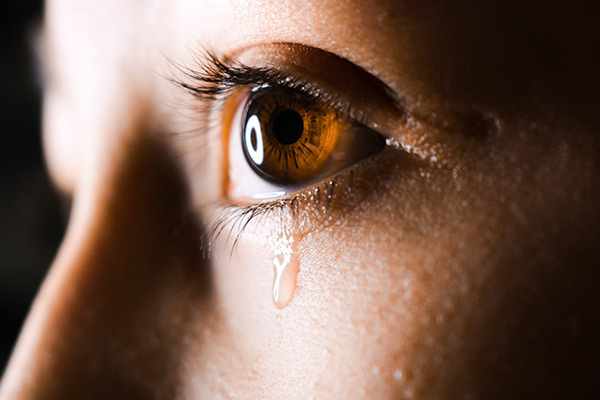 These confused feelings may lead to depression and even anxiety. 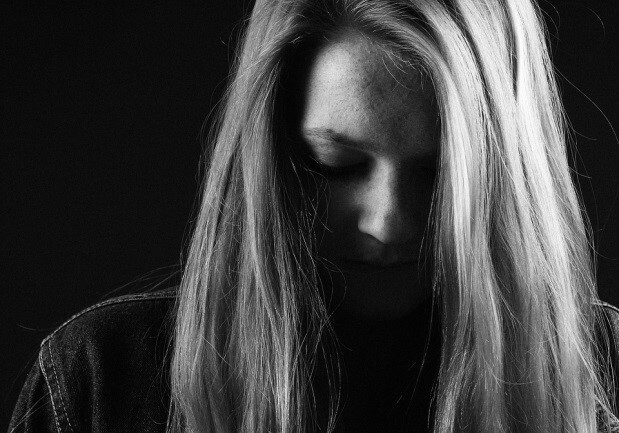 In extreme cases, teens begin harming themselves and may become more at risk for suicide. All the above are symptoms of Borderline Personality Disorder (BPD), which is very common among teens. With December about to begin, the Holiday Season is upon us, and for many this season of celebration is a tragic and painful reminder of loss. 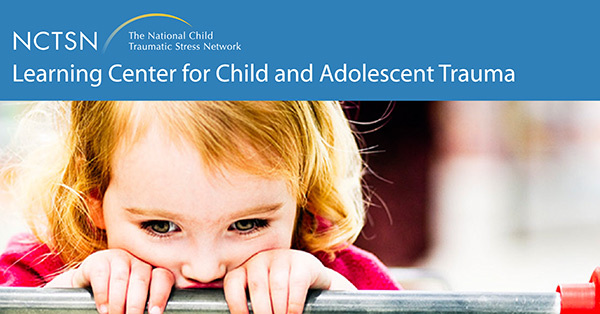 The National Child Traumatic Stress Network has resources and guides on how to support children and teens recovering from traumatic grief during the Holiday Season. For many parents raising children with emotional dysregulation, knowing when and how to supportively intervene can be difficult to learn. Ira Glovinsky of The Mehrit Centre discusses tactics to provide healthy intervention for children with emotional dysregulation. 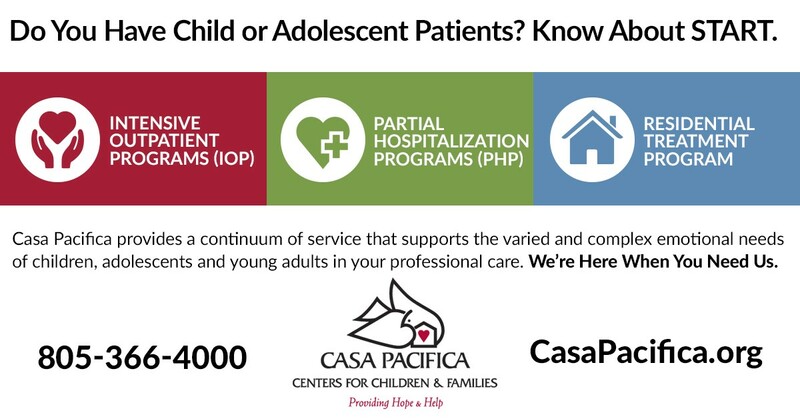 If Your Young Clients Need More Care, Casa Pacifica Provides a Full Continuum of Services. 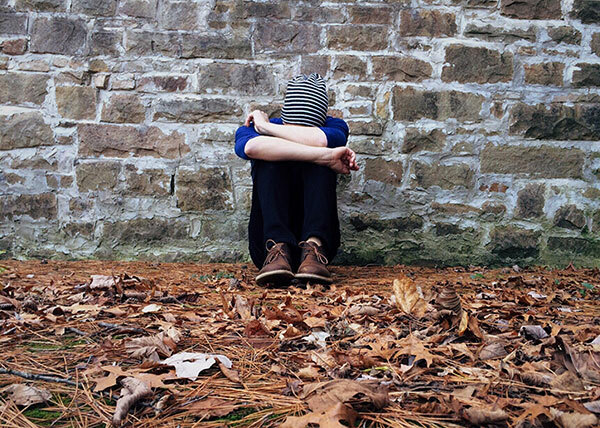 The Centers for Disease Control and Prevention published data in 2015, which revealed suicide to be the third most prevalent cause of death for youths between the ages of 10 and 14. 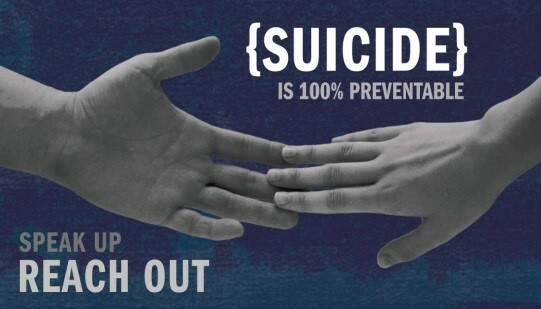 Youth suicide is 100% preventable; we MUST do everything possible to reach every child in crisis! We all know that the teenage years come with many challenges. 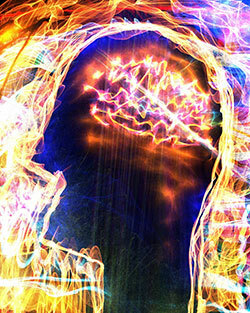 During this phase in life, the brain begins to develop very quickly. This puts the limbic system, a collection of structures in the brain that impacts emotional responses among other things, into either fight, flight, or freeze modes. In such circumstances, the minds of teens can difficulty processing various functions including reason, logic or good judgment. At the same time, there are many things teenagers have to deal with, which can lead to trauma, anxiety or depression. 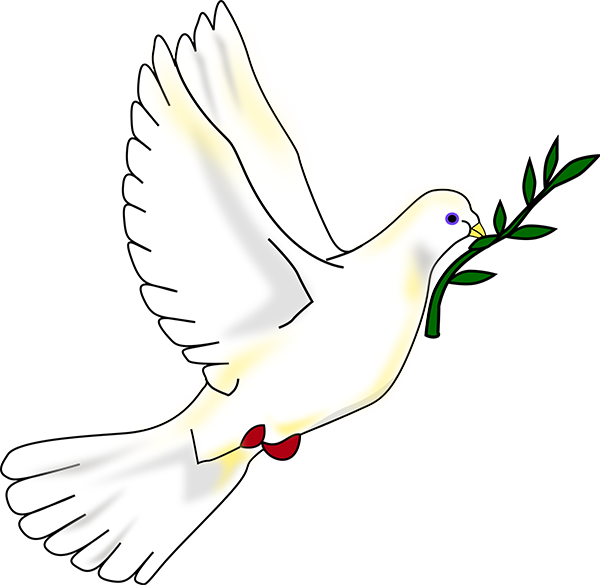 So, it is very important for them to be equipped with the means of coping with these issues. 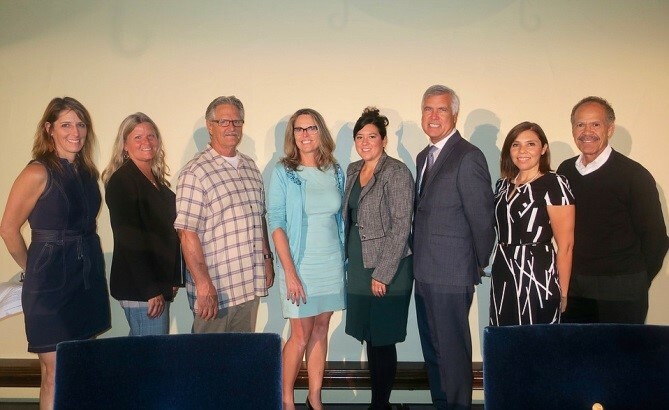 This past September 26, members and invited guests of the Women’s Fund of Santa Barbara gathered at the Fess-Parker Doubletree Hotel to listen to presentations from several recipients of grants totaling over $485,000. This organization is an all-volunteer collective donor group, which currently maintains around 750 members. These members accumulate their collective donations into substantial grants that are then bestowed to nonprofit groups, which address the needs of women, children and families in southern Santa Barbara County and throughout the region. As a Partner in The Treatment of Your Clients, We Can Do More To Help Traumatized Youth. According to a collection of statistics published by the National Alliance on Mental Illness, over 90% of all children who took their own life had an underlying mental health condition at the time of their suicide. 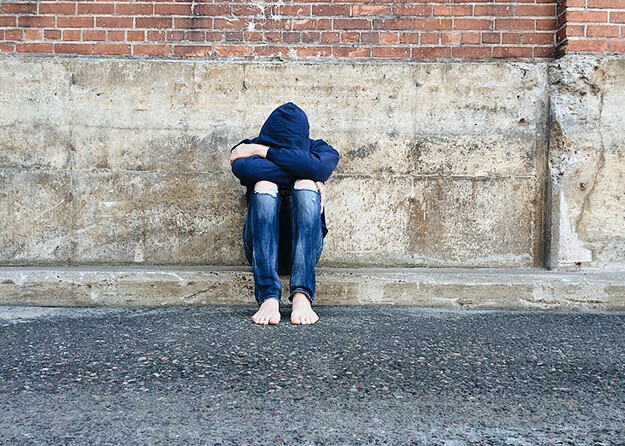 As a Partner in The Treatment of Your Clients, We Can Do More To Help Traumatized Youth. 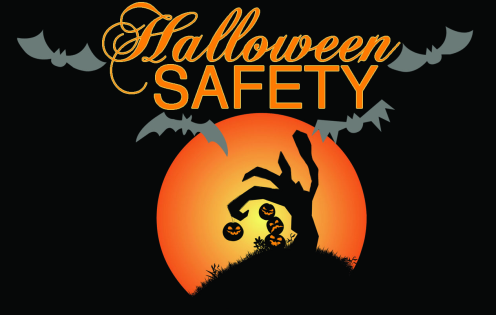 Halloween is an exciting time for both kids and grownups, but is also a time for families to be extra careful when it comes to safety. Trick-or-treating is a pleasant time that children look forward to each year, but can suddenly turn into a negative experience if someone is injured. To ensure your child will have a fun and safe trick-or-treating experience, here are some Halloween safety tips you can use to help keep your family safe. Trauma can come in many forms and can be extremely difficult for young people to deal with. Fortunately, Dr. John A Daller has put together some helpful points for how you can help as a parent. Adam Levine is the lead singer for the critically acclaimed band Maroon 5. He has helped to make a lasting mark on the contemporary music scene. Levine doubles up as the principal songwriter and also plays guitar for the group. 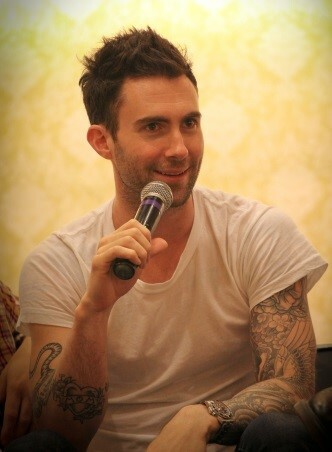 It has been said that Levine lends Maroon 5 its distinctive sound. However, Adam Levine is also an adult struggling with the symptoms of ADHD. 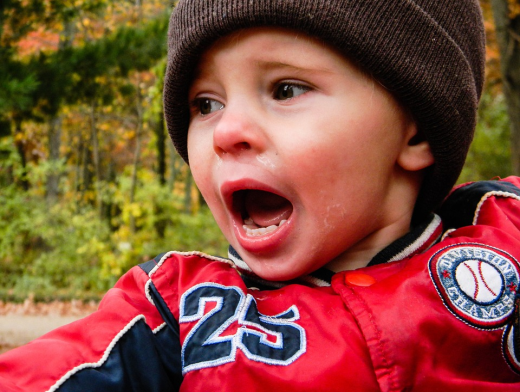 Temper tantrums are inevitably a part of childhood and parenting. But how do you know if your child’s tantrum is just a regular part of growing up, or if a more serious condition may be the root cause of the issue? 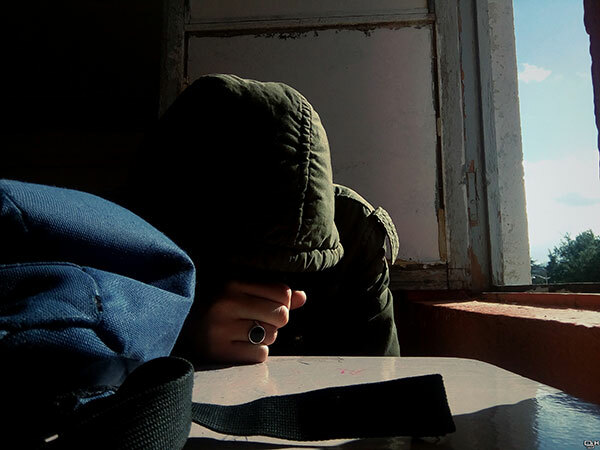 With the rate of major depression in teens on the rise, the number of suicide attempts among teens and adolescents is on the rise. Teen suicide is an uncomfortable topic for many parents, but we can’t afford to keep the subject under taboo any longer. Though some worry that talking about suicide can serve as a catalyst for at-risk youth, this couldn’t be farther from the truth. Often, life-saving help starts with a conversation. The importance of stable foster homes in the lives of children and teens. 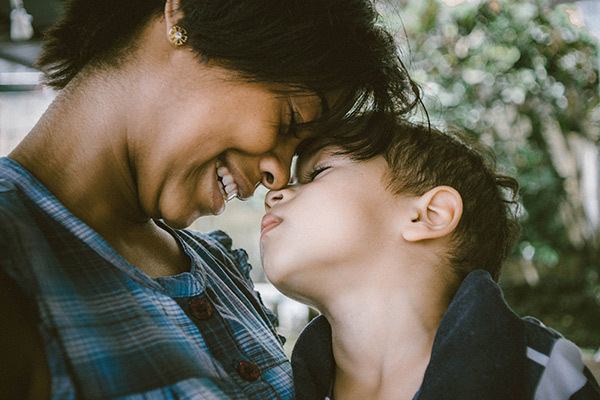 At Casa Pacifica, we understand that families are the foundation of communities, and children need stable and nurturing environments to mature into healthy adults. Because of this, connecting children in need with healthy and loving foster parents is a crucial goal of ours. 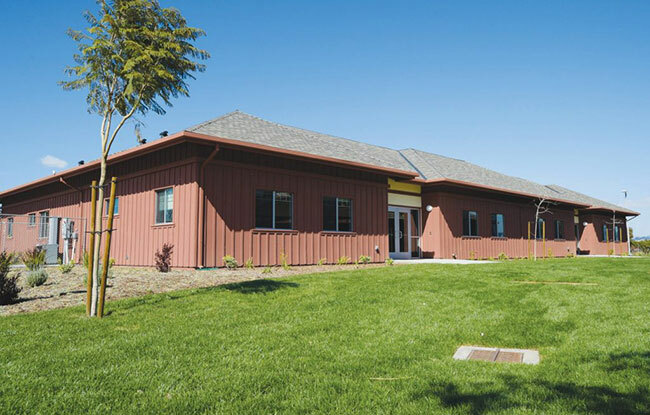 This past August, Casa Pacifica Centers for Children and Families received a license from the State of California to begin two new short term residential treatment programs for foster youth. These programs, meant to provide children and teens with the help that they need while facilitating a quick transition into finding a permanent family home, is one part of a statewide Foster Care reform effort. Oftentimes, teaching a child who is too young to fully understand or communicate their emotions to control their anger is a difficult process. This is especially true when dealing with children who are struggling with emotional dysregulation. In addition to therapy, there are steps you can take in the home to help a child learn to regulate his or her anger in a healthy manner. There’s a reason that dogs are known as “Man’s Best Friend.” Centuries of companionship have proven the fidelity, love, and intelligence that dogs are capable of, and any dog owner will tell you how comforting dogs can be in the midst of trying circumstances. 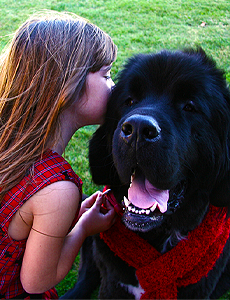 Studies have shown that dogs have a positive impact in therapeutic settings for people of all ages, and particularly in children’s mental health services. Dialectical Behavioral Therapy, originally developed to treat Borderline Personality Disorder, has a wide range of applications and can help a teen or child learn to cope with stressful situations as well as learn to properly regulate emotions. Read more about the benefits of DBT. What drives teens to take their life? Stress, depression, and substance abuse are all common factors in teenage suicide. 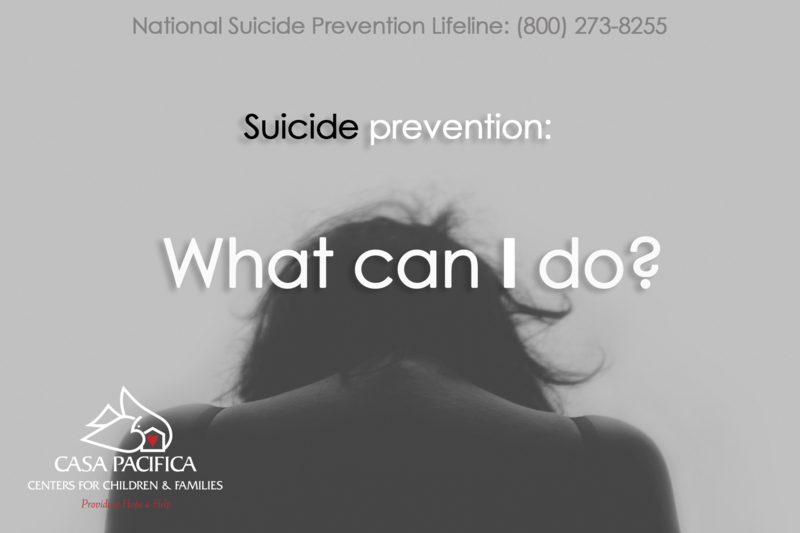 If you are concerned that your child may be struggling with suicidal thoughts, now is the time to act. 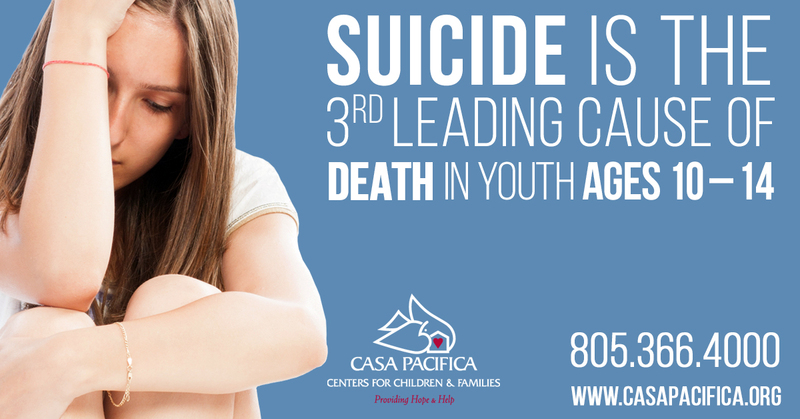 Contact Casa Pacifica Centers for Children and Families today for a free and confidential screening to see how we can help. 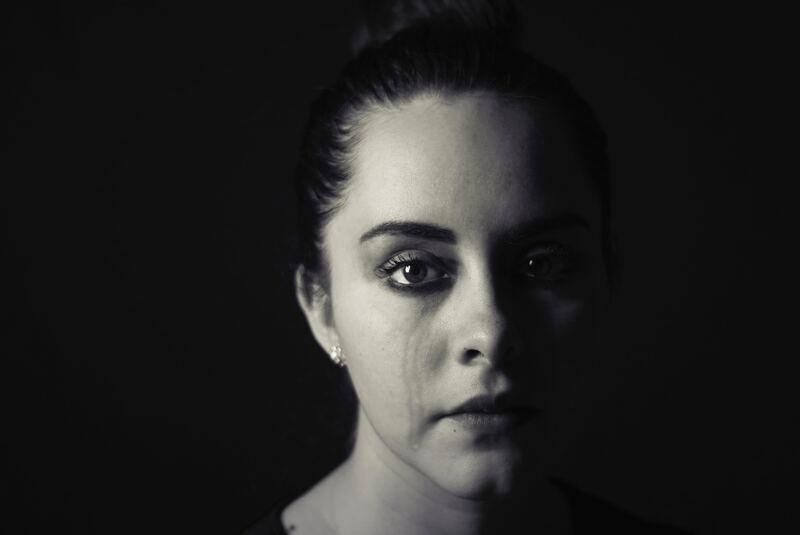 All too often, Borderline Personality Disorder is misunderstood as common, manageable mood swings, leading sufferers to be treated as if they are weak or not trying hard enough when emotional regulation becomes difficult. In reality, however, BPD is a serious condition that makes everyday obstacles seem insurmountable. We Know How to Prevent Youth Suicide. And We Must. The 2017 Casa Pacifica Angels Food, Wine, and Brew Festival was a smashing success! 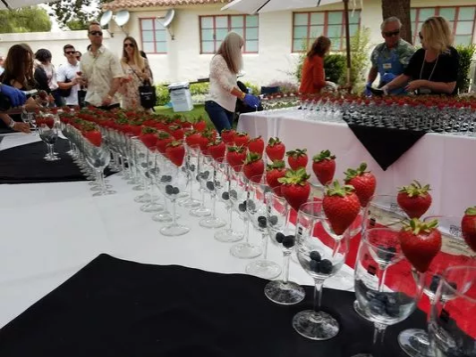 This June, thousands of people filed into this sold-out event not only to participate in Casa Pacifica’s largest annual fundraiser, but also to explore the best in local food, wine, and beer. Every mental health professional needs an inpatient resource for one or more of their clients. It happens at some point during their practice. What facility do you work with, or recommend for your young patients and families? Today is the International Day Against Drug Abuse and Trafficking. 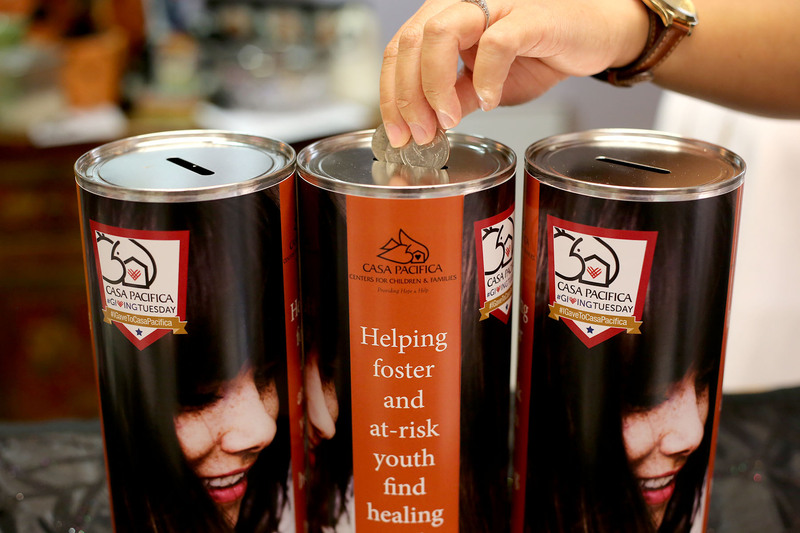 Casa Pacifica aids youth and families battling substance abuse. The many sides of ODD. Not all children experience Oppositional Defiant Disorder in the same way. Behaviors can vary greatly, as can treatments. Around the world, music is celebrated for its beauty and power of expression. It is the universal language, understood and loved by all, regardless of their differences. 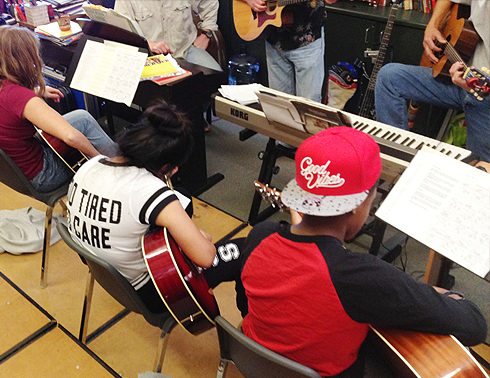 At Casa Pacifica, we tap into the power of music to bring a sense of empowerment and hope to the lives of struggling children. 18-year old Encinitas High School student Kassidey Kanner recently started a campaign seeking the installation of suicide-prevention signs along the Leucadia rail line after a man stepped in front of a moving train in March of this year. Thousands of people have signed her online petition urging Mayor Catherine Blakespear to invest in signs displaying a hotline number and a message offering help to anyone contemplating suicide. For too many children, trauma is an invisible reality of daily life. 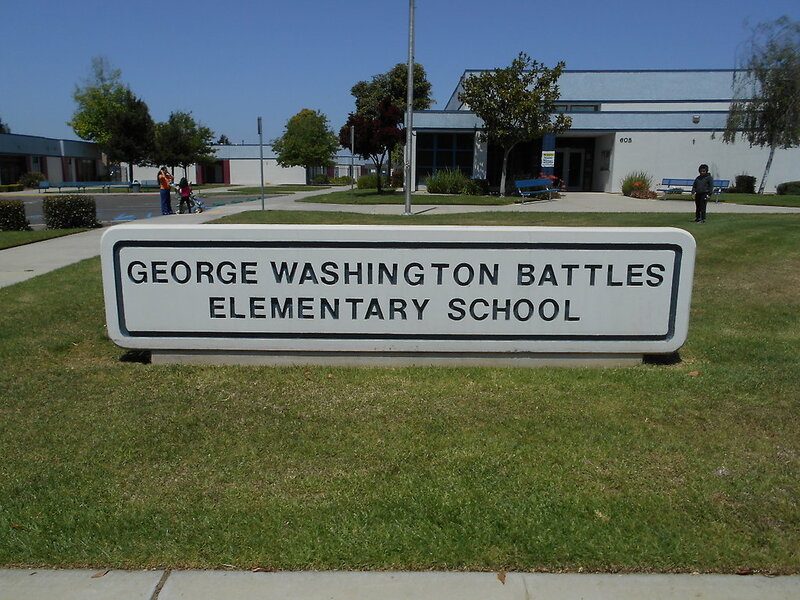 It exists in quiet neighborhoods, behind closed doors and sealed lips. Neglect. Domestic violence. Sexual abuse. The loss of a loved one. As a result of this victimization, 5% of adolescents experience the symptoms of PTSD at some point in their pre-adult lives. 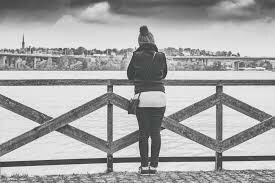 What are the risk factors for Disordered Eating and Emotion Dysregulation among adolescents, and how do they relate to family history and habits? These questions and more are explored in a recent study from BioMed Central Psychology. Join Us for the 4th Annual Yummie Top Chef Award Dinner! 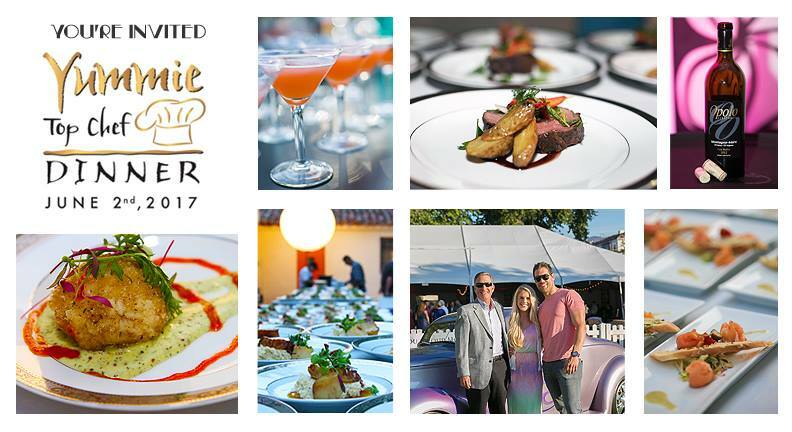 Are you ready for the 2017 Yummie Top Chef Award Dinner? 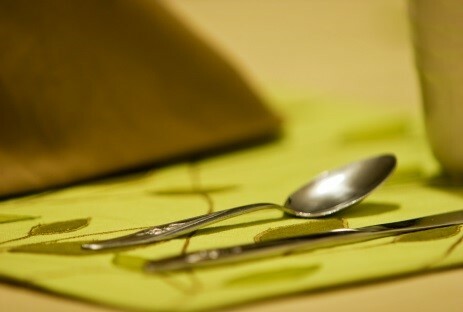 That’s right, it’s time to gear up for the Yummie Top Chef Award Dinner! 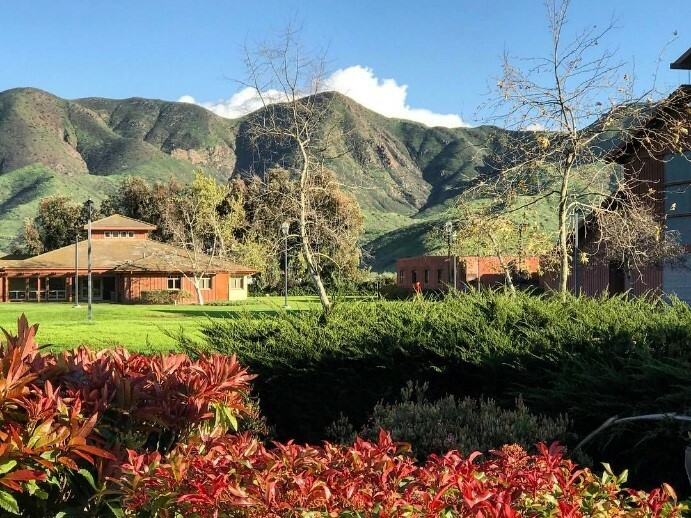 Hosted at California State University Channel Islands by the Cassar family, this annual dinner is an exposure to the best that California has to offer in food and wine, as well as a fun way to support for Casa Pacifica Centers for Children and Families. 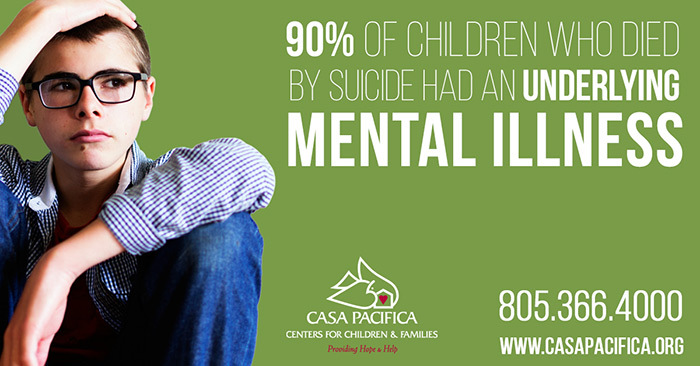 Casa Pacifica began as a center built to offer residential treatment to children and teens in need of intensive therapeutic care. Though residential treatment is still a cornerstone of our mission, and though it has proven effective for many of our patients, there is no one-size-fits-all solution. 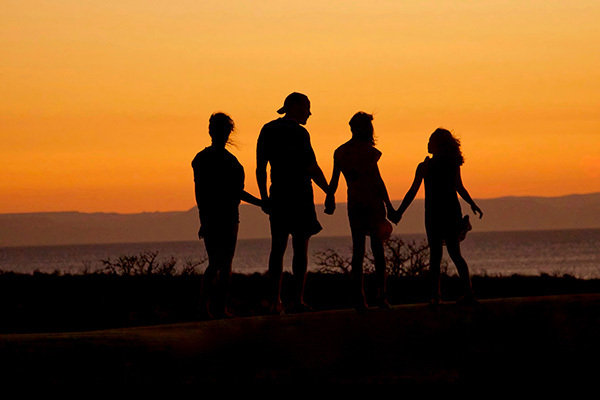 For many young people, staying with family is the best path to recovery. Because of this, we have expanded our reach over the past 23 years to include programs tailored to youth for whom residential treatment is not a viable option. For many children, particularly those with Autism or ADHD, controlling emotions and reactions to stressors is very difficult. The term “Emotional Dysregulation” refers to an inability to properly regulate emotional reactions to stressors of any kind, whether large or small, and often manifests in temper tantrums, acting out, and other harmful behavioral patterns. A diagnosis of Emotional Dysregulation is not a life-sentence, however, and often children can be taught coping skills to regulate their emotions. Coaching Skills workshop at Casa Pacifica on May 24-26. This month, Casa Pacifica will be hosting the workshop Coaching Skills for Supervisors, Intergenerational Supervisory Relationships & Enhancing Leadership Influence. The positive effects of a good night’s sleep are undeniable. According to a recent study published by the American Academy of Sleep Medicine, one of the most important factors on an adolescent’s daily mood is the duration of their sleep the night before. 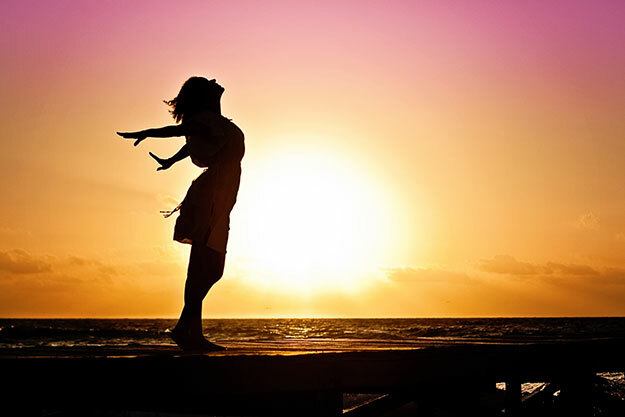 Since the method was first developed in the late 1980s, Dialectical Behavioral Therapy (DBT) has been used to treat patients with various difficulties regulating mental and emotional processes. It has quickly become a very widely used and powerful treatment, seeing results in countless situations. A very adaptable method, DBT is often used in both personal and group therapy, or a mixture of the two, depending on a patient’s needs and comfort level. 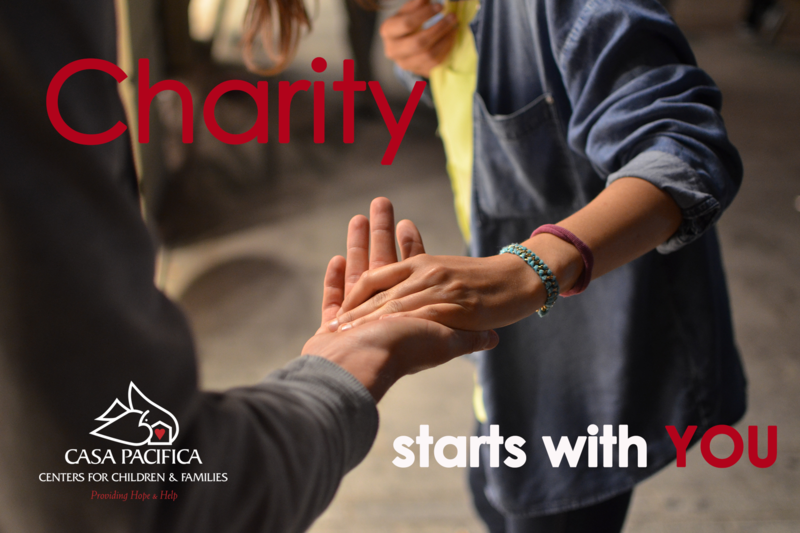 Recent funding increases have allowed Casa Pacifica to expand a program which trains future leaders in child psychology by working with at-risk children in a positive environment. When Forbes released its list of “America’s Favorite CEO’s in 2016,” it was no surprise to anyone to find that Lynsi Snyder of In-N-Out Burger made the ranking. An icon of the Southwest, the burger chain has a reputation of strengthening communities and for maintaining high quality and family ownership despite the chain’s boom of popularity and expansion into six states. 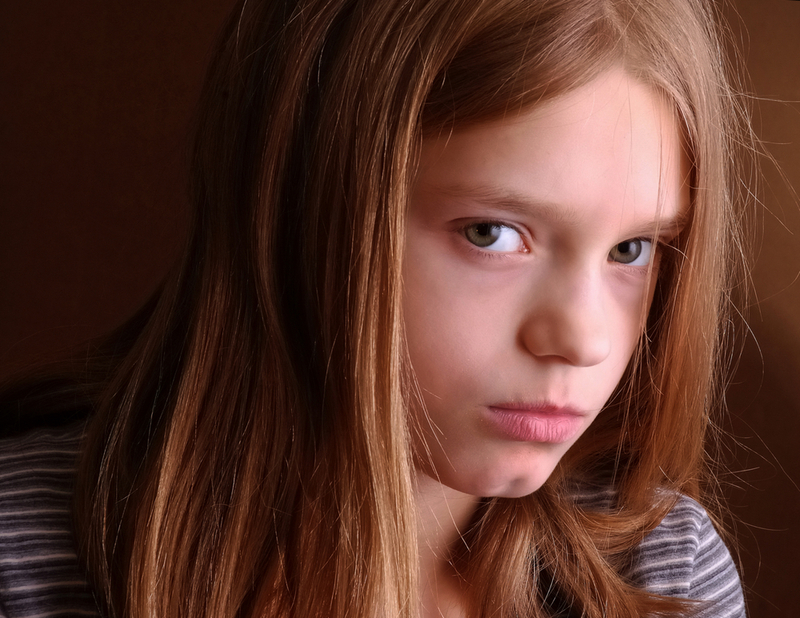 Disruptive Mood Dysregulation Disorder (DMDD), a relatively newly diagnosed disorder in children, is characterized by regular and volatile expressions of temper that would seem to be disproportionate to the situation. DMDD’s symptoms include constant irritability peppered with angry outbursts that occur on a regular basis, usually at least three times per week. 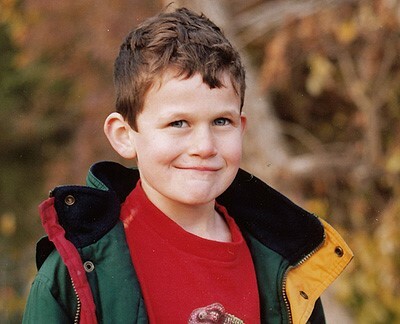 While in the past these children had typically been diagnosed with pediatric bipolar disorder (PBD), doctors have now determined that, unlike children with PBD, these children do not experience the type of mania characteristic of those with bipolar disorder. DMDD is thought to occur more frequently in boys than in girls. It’s that time of year again, local ‘Pharmagician’ Paul Dwork is performing his annual charity show, “An Evening of Magic,” at the Camarillo Rotary Club in Moorpark this upcoming Saturday! 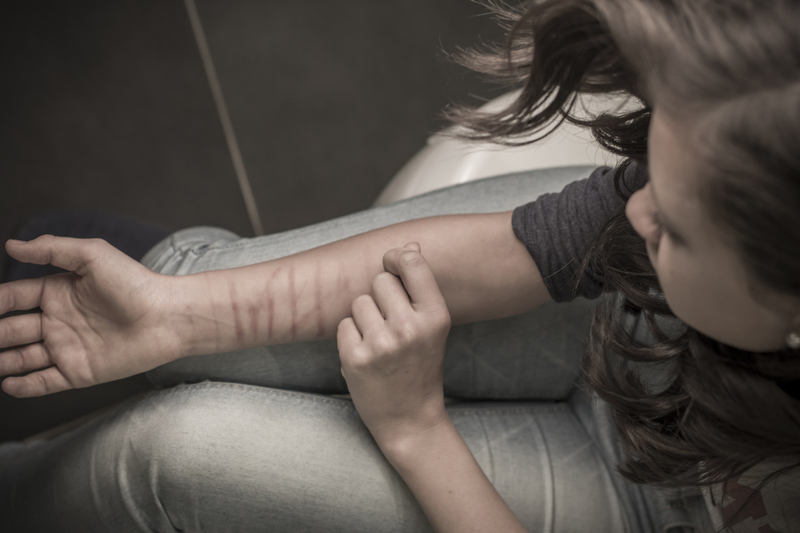 Teen cutting can leave parents bewildered, concerned and asking what they can do to help. Why would their child choose to pick up a sharp object and intentionally mark their body in this manner? BPD and ADHD are two conditions with overlapping symptoms, which some believe may be subtypes of the same disorder. 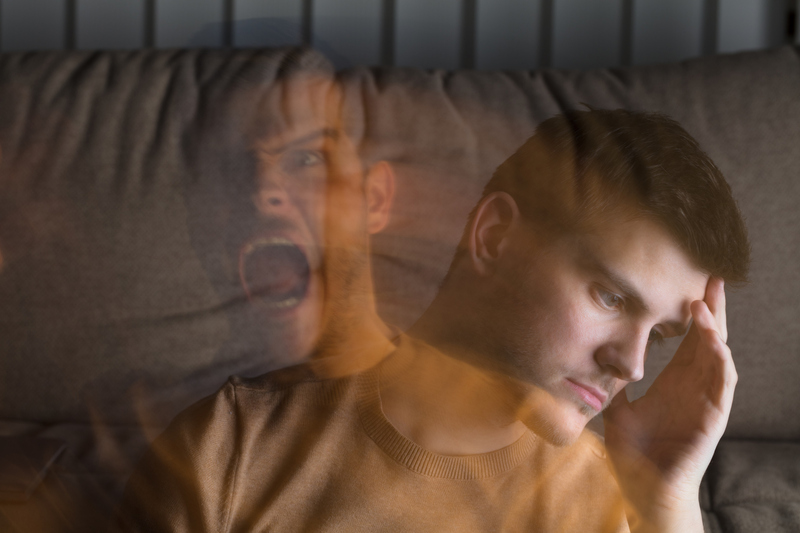 This article from a Yale blogger explores this idea through the lens of the Emotional Dysregulation associated with both disorders. Just as there are many ways to prepare excellent breads, stews, and soups, there is no one single formula for reducing risk in the lives of young people. Nevertheless, there are some core principles which are nearly universally agreed upon when it comes to the process of helping at-risk children. How the Conrad N. Hilton Foundation distributed $36 million to various local and international charities. 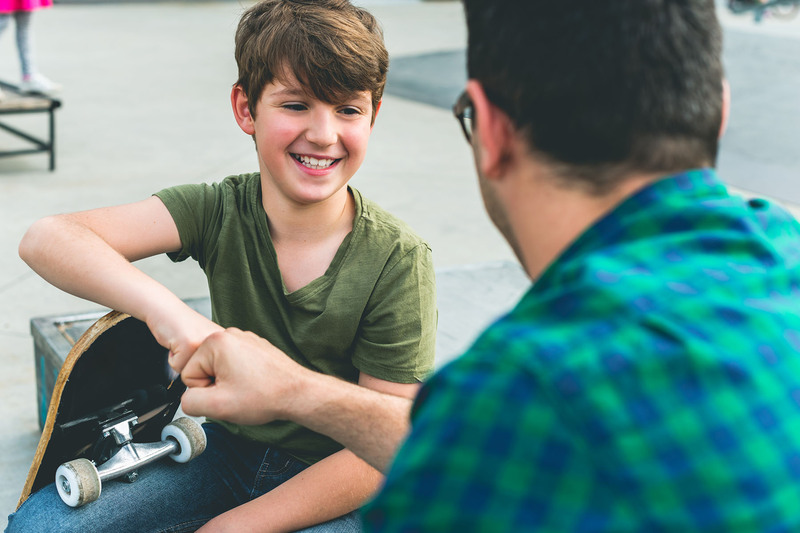 Assisting young people who have autism with regulating emotions and handling changes will likely provide great benefits for their ability to effectively engage with others. Gareth Morewood summarizes ways that you can help and points of knowledge that will equip you to better support the child in his article on the Optimus Education Blog. 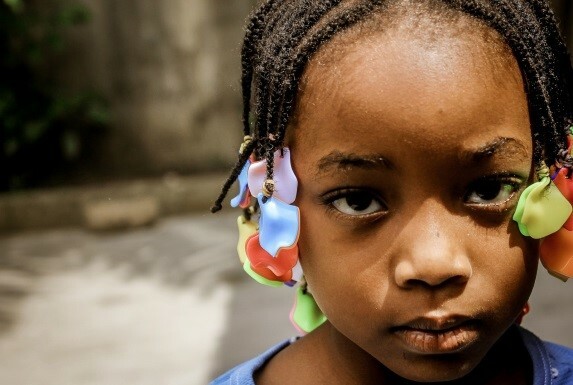 Childhood Trauma, a result of harsh circumstances leading children to develop harmful coping mechanisms, is a very common difficulty that is different for every child.